With our 10-year structural framework warranty, any structural failures at occur with your product will be covered for a decade. As a top manufacturer and wholesale supplier of commercial shade structures in the U.S, Datum Wholesale is a trusted company that knows how to take care of our customers. With 10-year structural framework warranties, paint warranties, and fabric warranties available, you can rest assured that an excellent warranty program backs your new structure. Consider our available warranties available at Datum Wholesale. 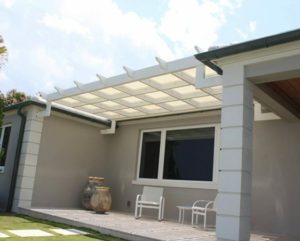 In working with Datum, you can enjoy your new shade structure with peace of mind. With our 10-year structural framework warranty, any structural failures at occur with your product will be covered for a decade. This warranty also provides you with access to any necessary repairs and support for any issues that may arise with your product. Whether your issue is caused by structural failure or exceptional wear-and-tear over time, our professionals can address the issue with the right knowledge and resources for the job. Our 10-year structural warranty only covers structural failures which are related to workmanship. In addition to the 10-year structural warranty, Datum also provides a warranty for products painted in our facilities. Our paint warranty applies for paint-related issues, such as flaking due to workmanship, on 10% or more of the products. However, this warranty does not include any part of the framework that may have been scratched, defaced, or destroyed by a third-party. For standard powder coating projects located within a mile of a body of salt water, the warranty applies for one year, with a three-year application for projects in other locations. For premium powder coating projects, the warranty applies for two years, with a five-year application for projects in other locations. Please refer to the specified fabric manufacturer and distributor warranties for information on fabric warranties. Datum purchases only high-quality fabrics from industry-leading partners. For more information, please check out our warranty specific details here.